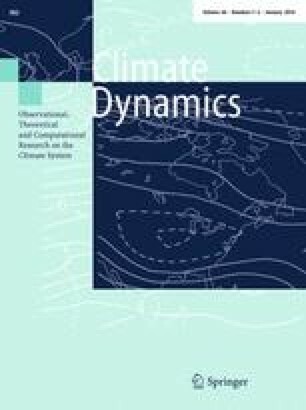 This study investigates how the Pacific Decadal Oscillation (PDO) modulates the effect of El Niño/Southern Oscillation (ENSO) on tropical cyclone rapid intensification (RI) in the western North Pacific. The analysis shows that the interannual relationship between ENSO and annual RI number in warm PDO phases is strong and statistically significant. In cold PDO phases, however, there is no significant correlation between ENSO and RI on the interannual timescale. The enhancement of the interannual ENSO–RI relationship in warm PDO phases is mainly attributable to the change of the environmental vertical wind shear. The PDO in warm (cold) phases can strengthen (weaken) an El Niño event to increase (reduce) the effects of the warm pool of water over the equatorial Pacific in typhoon season by local diabatic heating. El Niño events are accompanied by the stronger Walker circulation in the equatorial Pacific in the warm PDO phase than in the cold PDO phase. In contrast, the Walker circulation pattern and amplitude associated with La Niña events is less affected by the alternate PDO phase. This tends to make the atmospheric response to ENSO stronger (weaker) in warm (cold) PDO phase, and so is the atmospheric teleconnection of ENSO. Our results indicate that the stratification of ENSO-based statistical RI forecast by the PDO can greatly improve the accuracy of statistical RI predictions. This study was jointly supported by the National Basic Research Program of China (2013CB430304), National Natural Science Foundation (41376015, 41376013, 41306006, 41206178, and 41176003) of China, and National High-Tech R&D Program (2013AA09A505) of China, and Global Change and Air-Sea Interaction (GASI-01-01-12) of China. H. Liu’s work was supported by the University of Miami’s Cooperative Institute for Marine and Atmospheric Studies (Cooperative Agreement #NA10OAR4320143) and NOAA’s Atlantic Oceanographic and Meteorological Laboratory. The 6-h tropical cyclone best-track data is obtained from the Joint Typhoon Warning Center (http://www.usno.navy.mil/JTWC/). SODA data is downloaded from web site at http://dsrs.atmos.umd.edu/DATA/soda_2.2.4/. The twentieth century Reanalysis V2 data is provided by the NOAA/OAR/ESRL PSD, Boulder, Colorado, USA, from their Web site at http://www.esrl.noaa.gov/psd/.